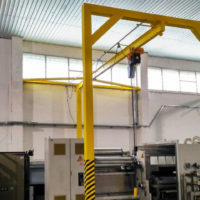 Monorail telfer way capacity 1t for the factory "GLASSO"
From the customer received a request to develop a system for feeding and moving profiles with a length of 6 m on roller conveyors. 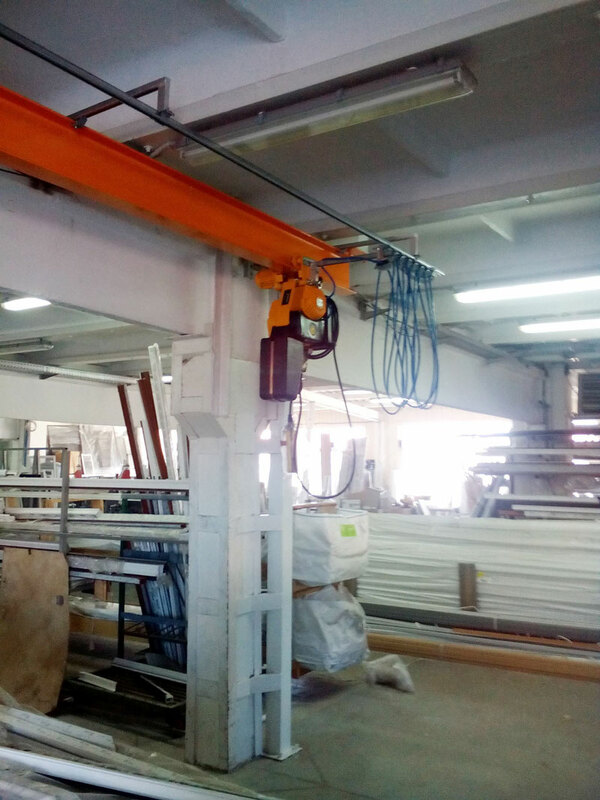 The design department developed the project of a monorail telpher track for a hoist with a lifting capacity of 1 ton. 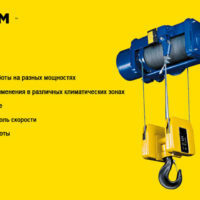 The chain electric telpher made by Skladova Tehnika, Bulgaria was not chosen by chance - its compact dimensions allowed for the necessary range of load lifting. 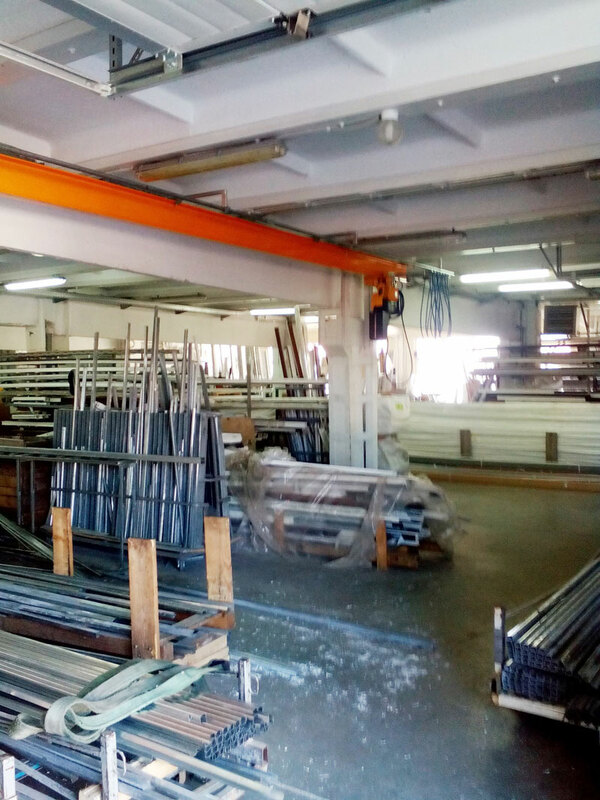 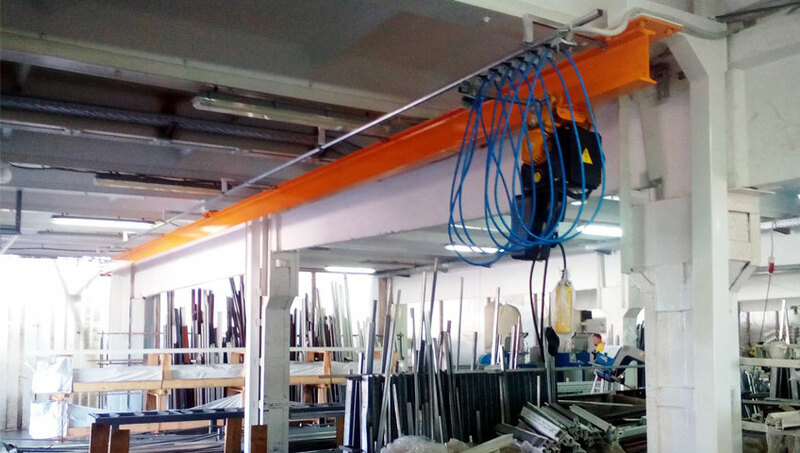 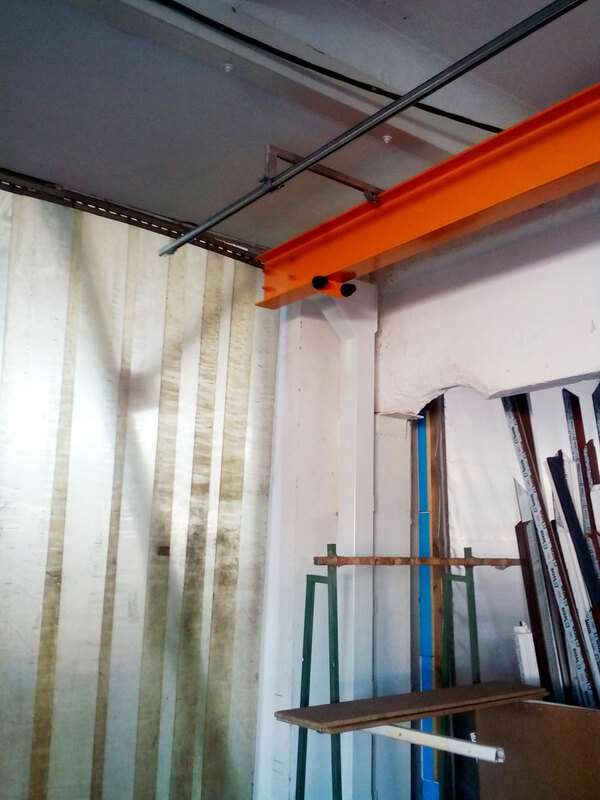 The height from the floor to the hook in its upper position was 2 m, which is 20 cm better than our Customer set the task for us. 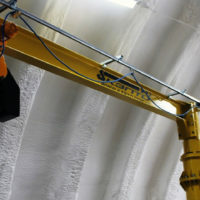 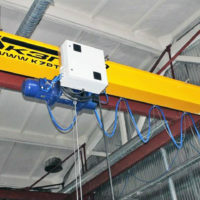 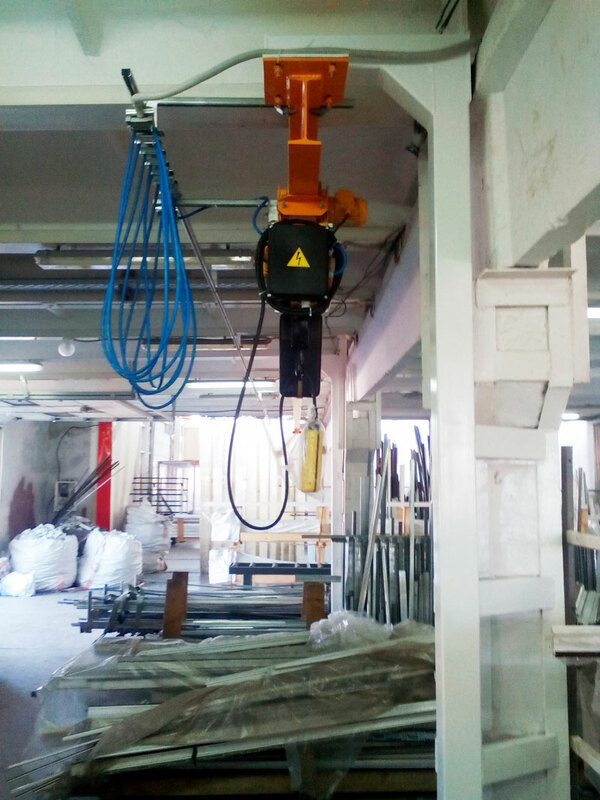 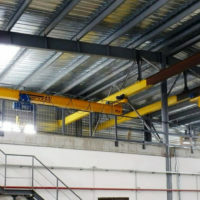 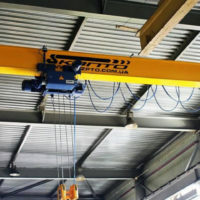 Upon completion of manufacturing and installation, the specialists of «Kyiv Crane Machinery Plant LLC» carried out control tests with a load on static and dynamic loads, issued a technical report on the assembly, as well as passport and authorization documentation for commissioning in the Kiev expert technical center .